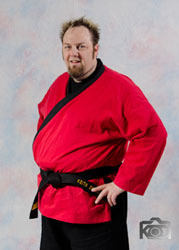 Young Americans Schools of Self-Defense - Meet our Black Belt Instructors. 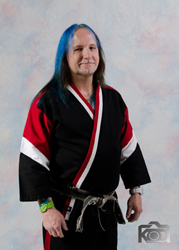 Master Jeff Wood has been a Martial Arts student continuously since September of 1964, studying multiple styles in the United States, Korea, Japan, and China. In 1981, he began his career as an instructor, and over the past thirty years has devoted himself to helping all his students achieve their highest potential in all aspects of their self-defense training. Master Wood currently holds a 4th Dan Black Belt in Tae Kwon Do and is the President of the Young Americans Schools of Self-Defense in the state of Minnesota. My name is Master Brian St. George and I presently hold the rank of 3rd Degree Black Belt within the Young American School of Self-Defense Program. I have had the privilege of teaching in the Bloomington, MN area for over 11 years. Hi, my name is Master Steve Dausey. I hold a 4th Degree Black Belt in Okinawan Goju-Ryu Karate-Do. I also have training in 5 other styles of Martial Arts. I have been teaching for the last 28 years and have been Young Americans School of Self Defense Program since 1997. It has been my pleasure teaching students in the southern part of Minnesota. I earned my Black Belt with Young Americans School of Self-Defense in the year 2006. At that time I started to assist in teaching the classes. 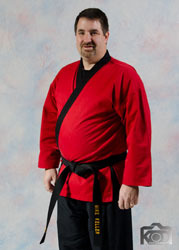 I earned my 2nd Dan Black Belt in 2009 and became head instructor that same year. My wife and son are both Black Belts with the Young Americans School of Self-Defense Program and assist me with teaching my classes. 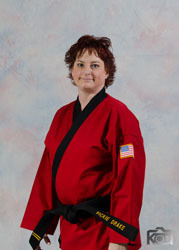 I began my career with Young American’s Self Defense in 2000. I received my 1st Dan Black Belt in December of 2001. I took my 2nd Dan Black Belt in December of 2003. I began teaching as a head instructor in 2004. My family became the first “Black Belt Family” in the Young Americans Schools of Self Defense in Minnesota, when my daughter received her black belt in 2007 (my wife, son, daughter, and myself are all black belts). I was one of the first three instructors, along with Sensei Sean Morris, and Master Brian St. George, to receive their 3rd Dan Black Belt n the Young American’s self defense system in September 2010. Each milestone that I have reached has been personal gratifying, but the greatest satisfaction I have is helping my students achieve their goals. 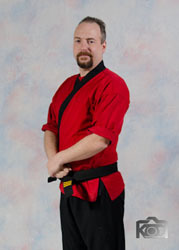 Sensei Shawn Morris has over 20 years of experience in various martial arts disciplines. He currently holds the rank of 3rd Degree Black Belt with Young Americans and recommended Black Sash with Shao Lin Institute of Chinese Martial Arts. 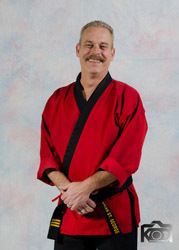 Sensei Morris has been teaching since 1998, for Young Americans since 2001 and at the Shao Lin Institute since 2007. 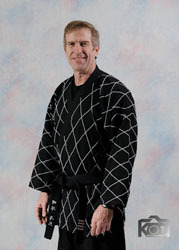 I received my 1st Dan Black Belt in December of 2006, and started assisting Sensei Keith. I received my 2nd Dan Black Belt in April of 2011. I love watching the kids gain confidence, and grow in their skills as they return each semester.